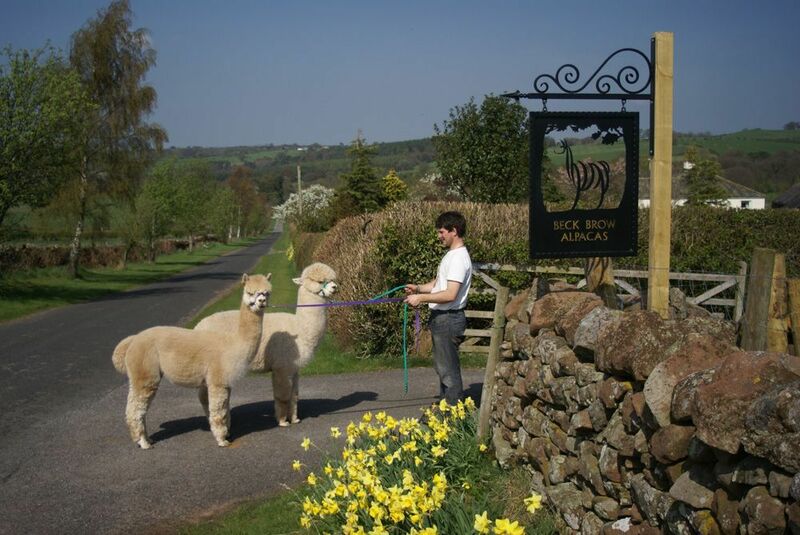 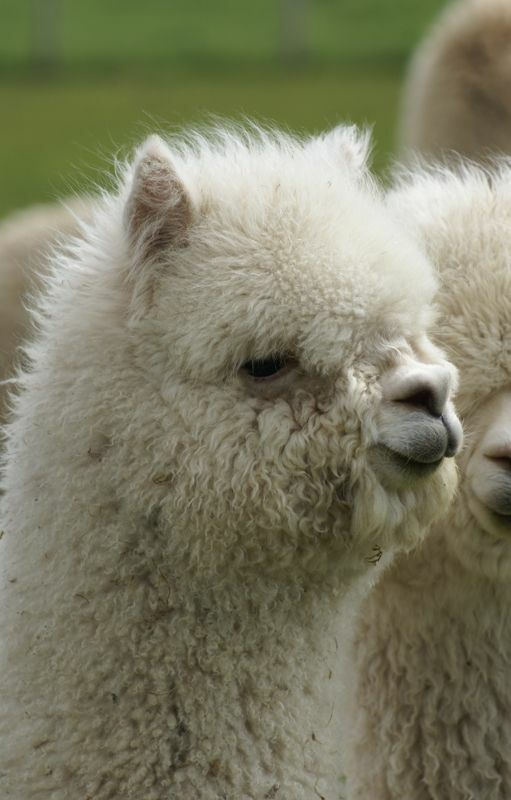 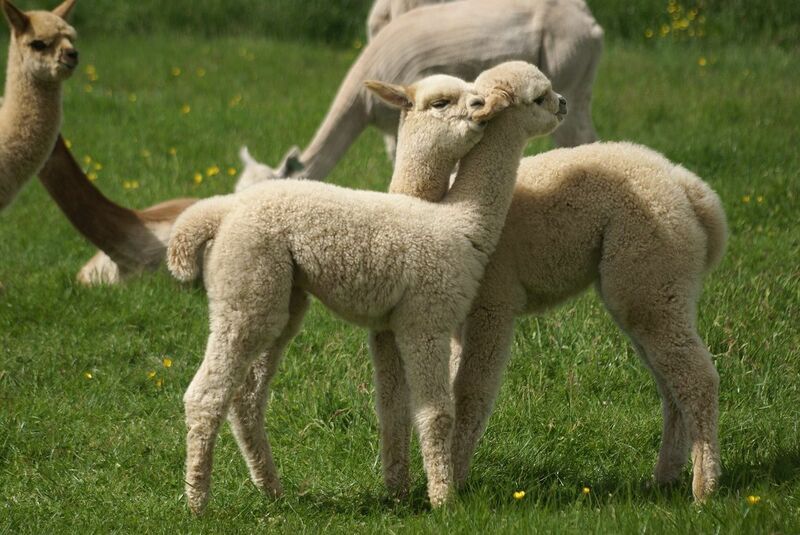 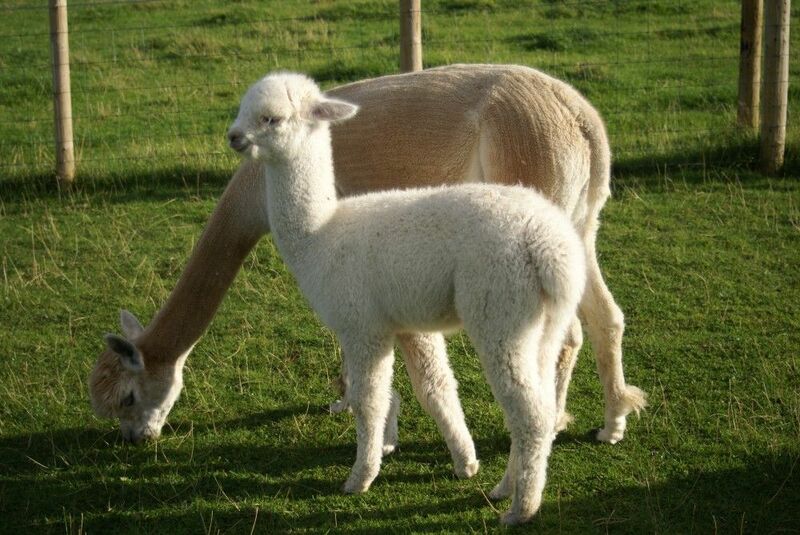 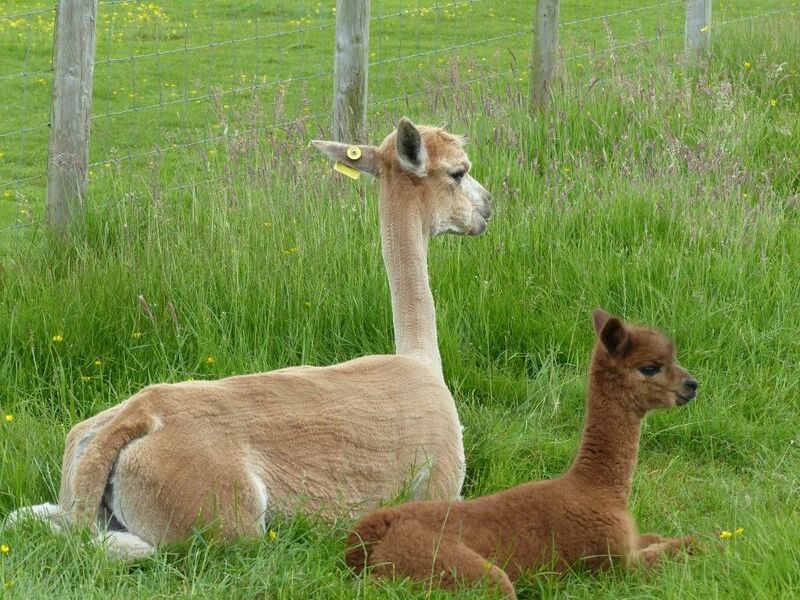 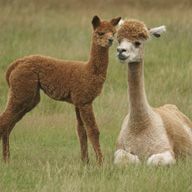 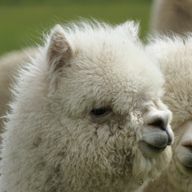 A holiday to Peru in 2005 was our first introduction to alpacas and we were smitten from that point, but it wasn’t until September 2008 that the first alpacas arrived at Beck Brow. 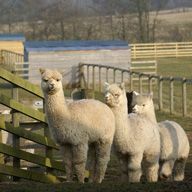 Our initial little herd consisted of just four females with cria at foot. 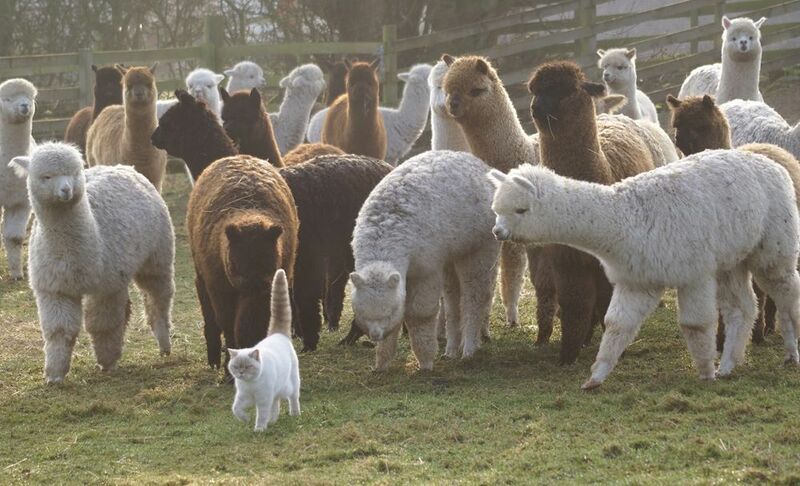 This was how the addiction began. 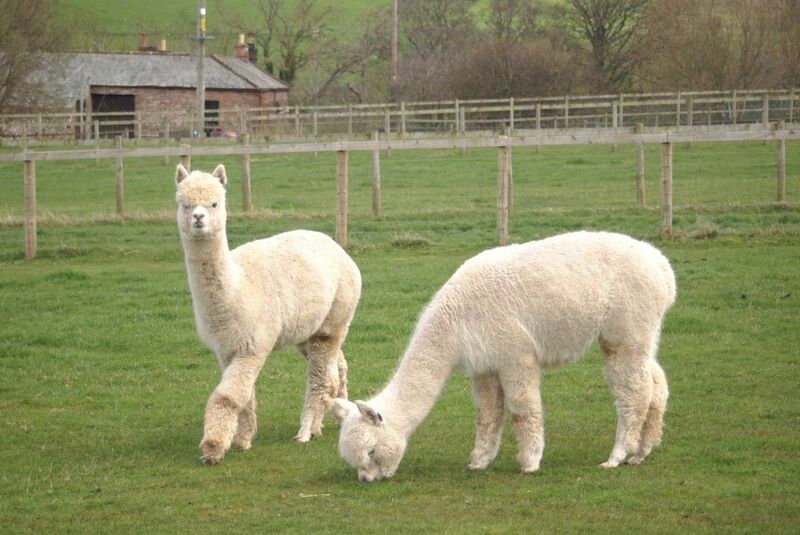 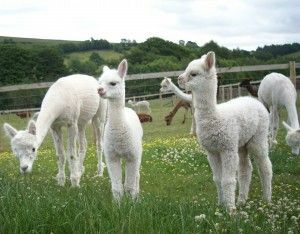 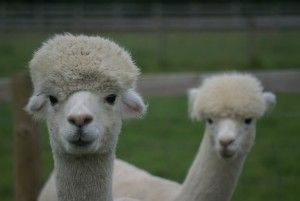 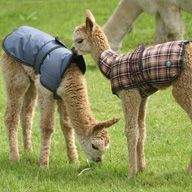 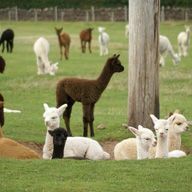 By March 2009 the idea of having a few alpacas as pets had grown in to the creation of Beck Brow Alpacas of Cumbria, and Barbara had made the decision to leave her position as a Nursing Sister within Critical Care, in order to manage the herd full time. 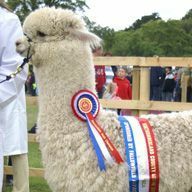 Since then we have introduced some of the best genetics available from the UK, Australia and New Zealand and have had great success in the show ring. 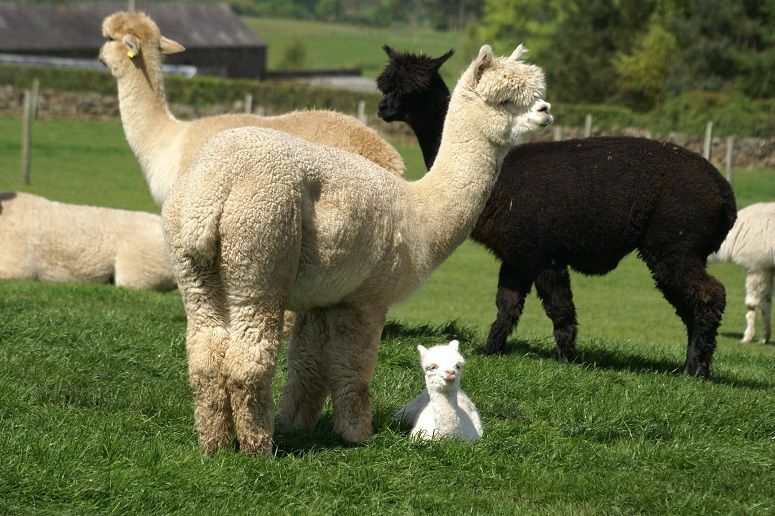 Barbara has immersed herself into all things alpaca related. 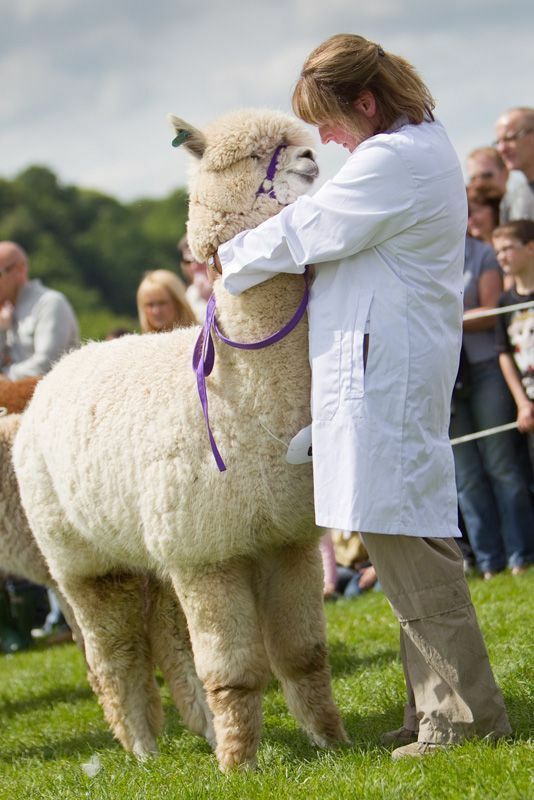 After spending many years studying she is now a qualified British Alpaca Society (BAS) Judge. 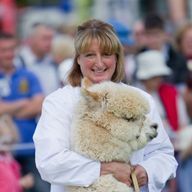 Formally a director on the BAS board she has continued with the role as a member of the BAS National Show Committee and is also involved with the organisation of the North West Alpaca Group and Westmorland alpaca shows. 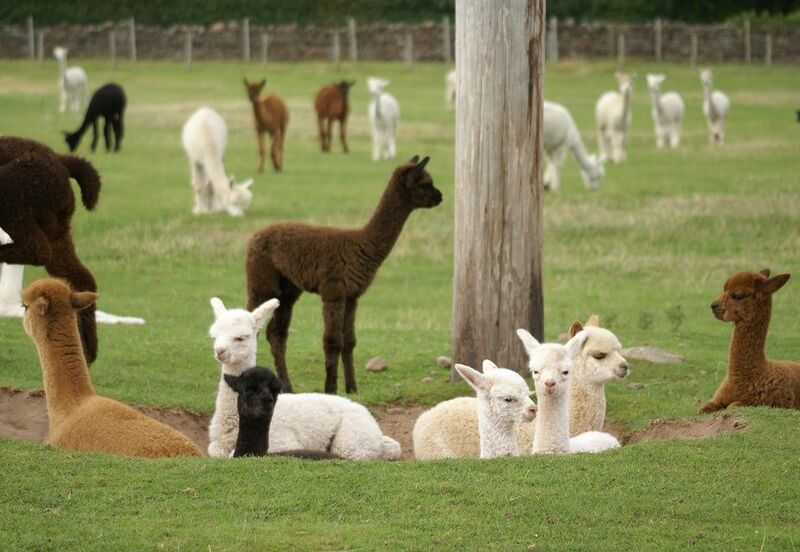 We now have a herd of over one hundred and twenty alpacas. 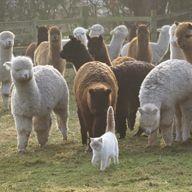 Each one is known by their name and personality. 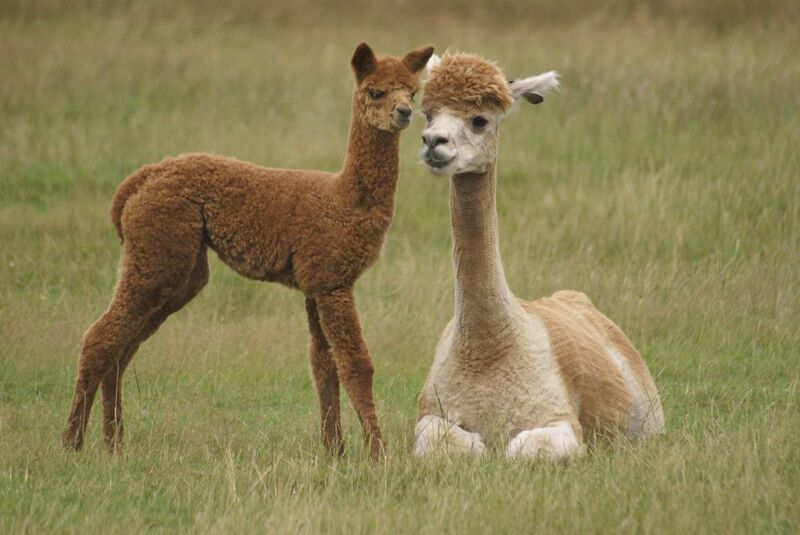 Not only do we know them, we can tell you about their parents and grandparents. 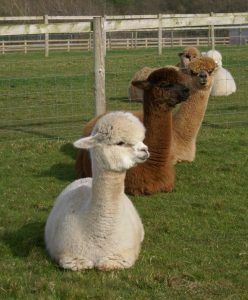 We pride ourselves on having a happy and healthy herd who are relaxed in our company. 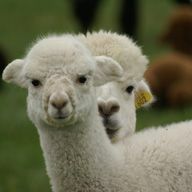 Our only problem is we never want to part with any one, but we are getting better! 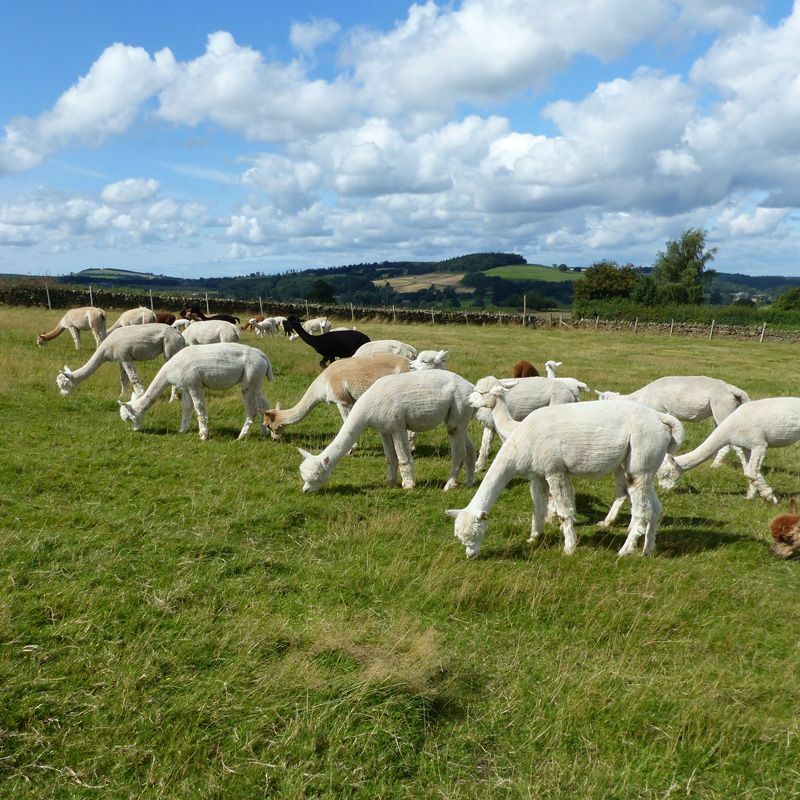 Our advice would be to never underestimate the value of top quality females within your herd. 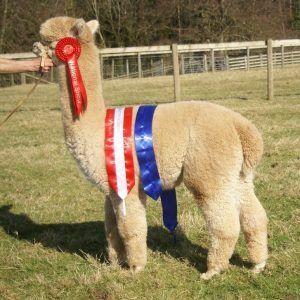 Ours have done us proud. 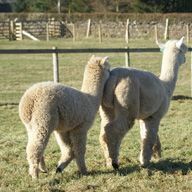 It is the off spring of these females who feature heavily in our show results and if you are quick you may see them on our for sale page. 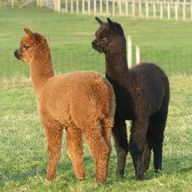 Of course our stud males can also take their share of the glory, and we do credit ourselves as being rather good match makers! 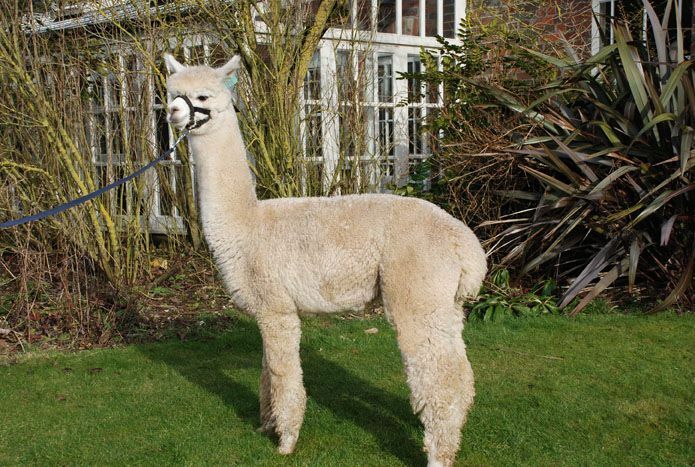 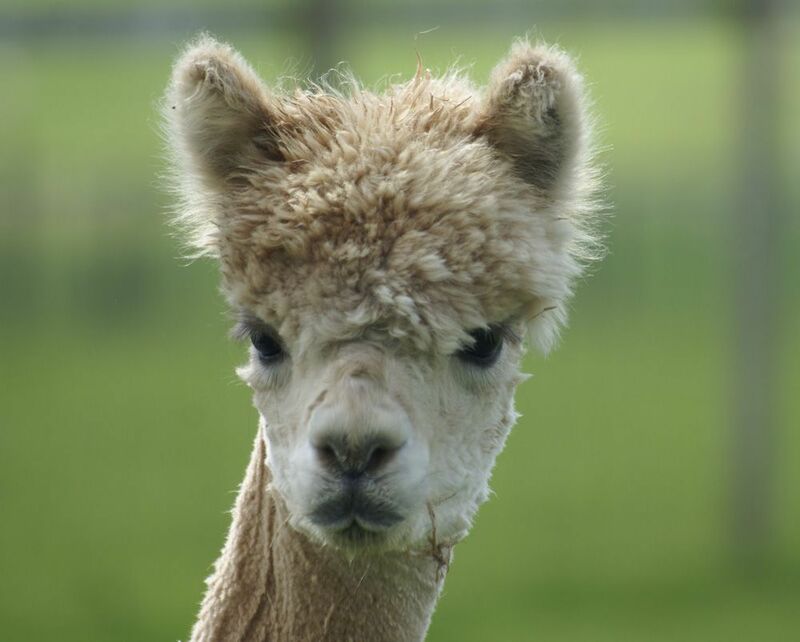 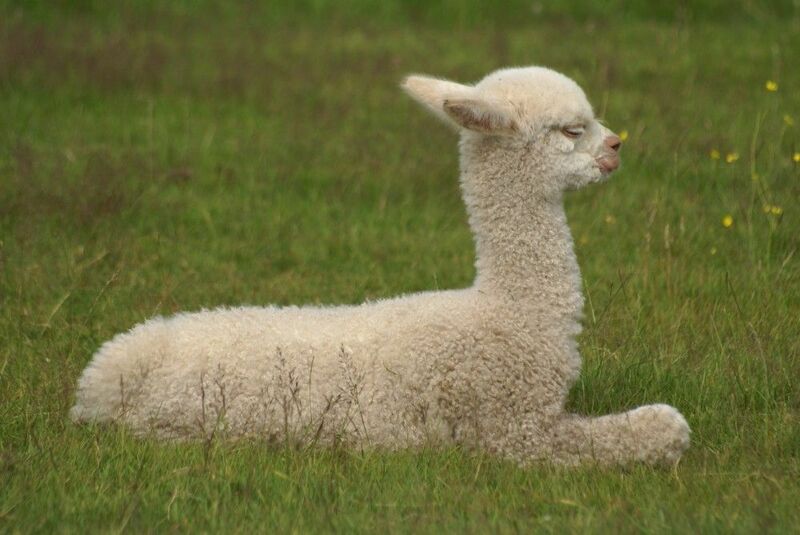 Lady Gaga was purchased at The British Alpaca Futurity Auction in 2010. 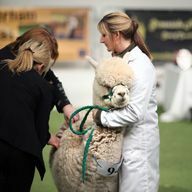 Highly fought after, she was the highest priced female in the sale and we couldn’t believe our good fortune when we secured her for Beck Brow. She has gone on to do us proud producing three stunning females in a row. 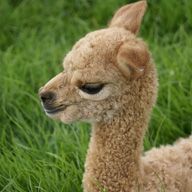 Gaga certainly lives up to her title, she has an air of sophistication and elegance which ensures she is one of the stand out alpacas in the paddock. 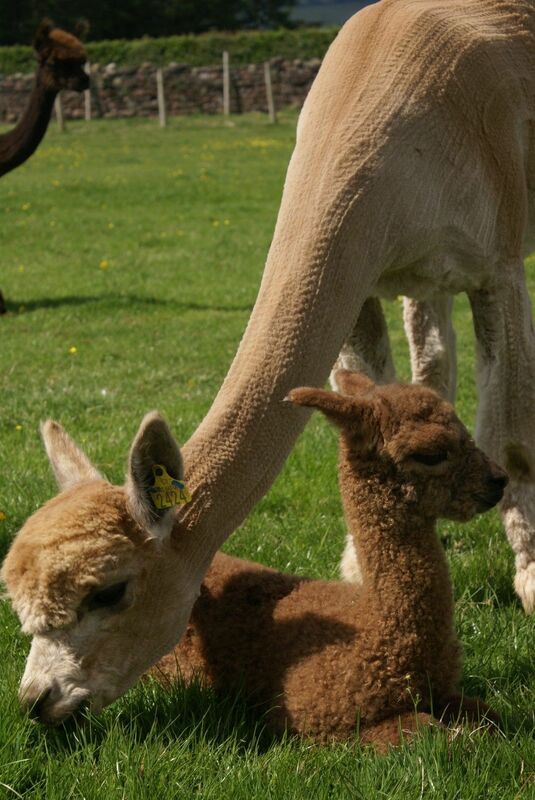 She adores being a mum and often has a crowd of cria with her. 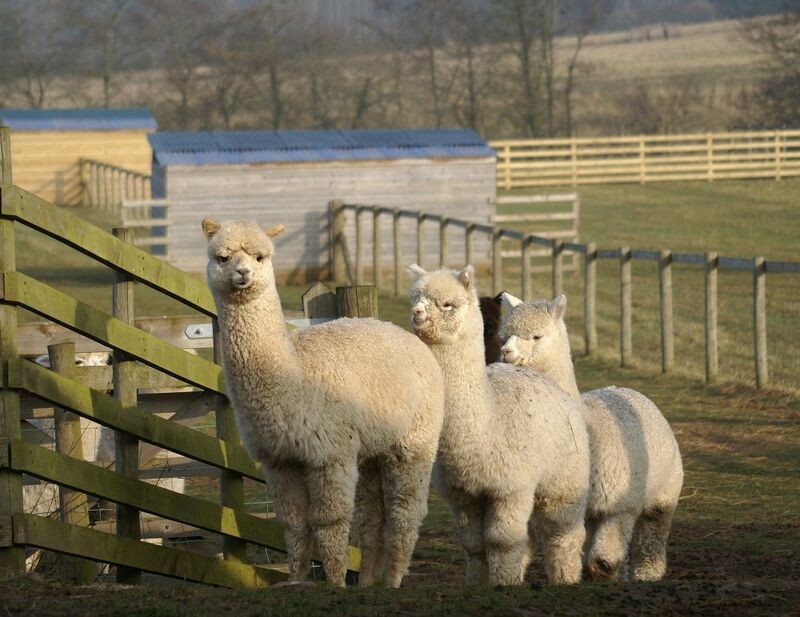 She has such a calming influence on the herd, never losing her dignity enough to get involved in any disagreements. 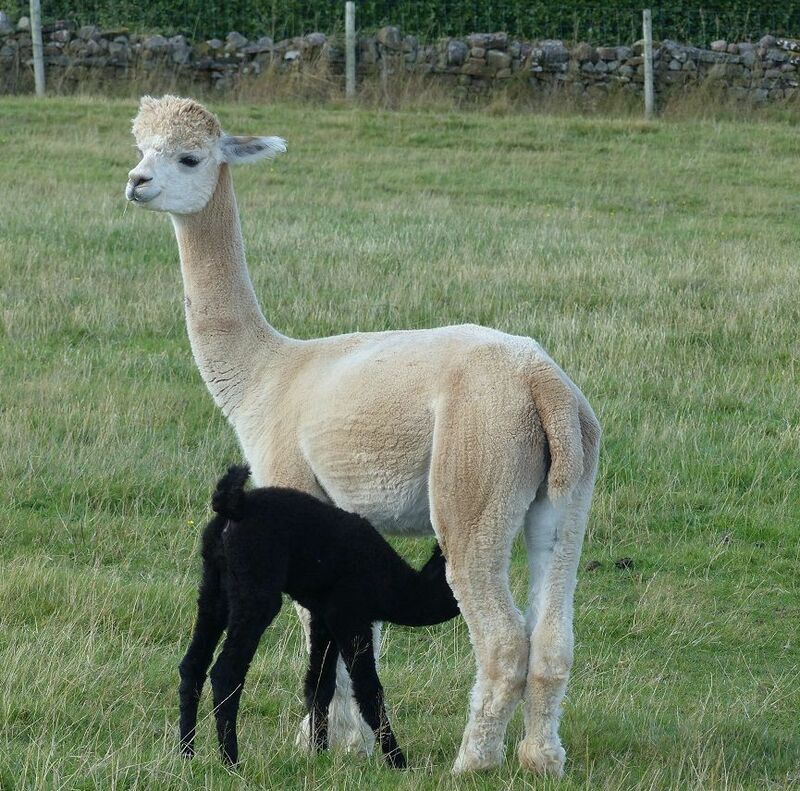 Her first daughter Beck Brow Snooty Boots (sire; Waradene St Patrick) is the dam of Black Champion Beck Brow Jimmy Choos (sire: Viracocha Black Sabbath). 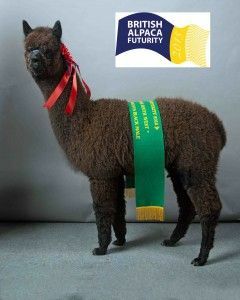 Dam of Champion Black Female: Beck Brow Fair Play. Dam of National Champion Fawn Female: Beck Brow Kiss Me Quick. 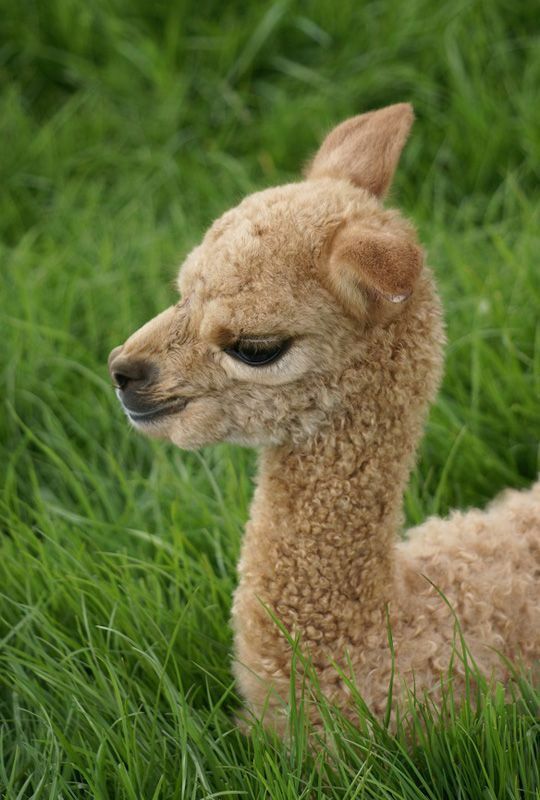 Lady Gaga’s second daughter Beck Brow Cat’s Pajamas has the same elegance and calm nature as her mother. 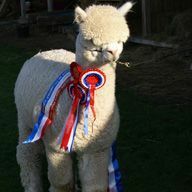 A real beauty, she was awarded Supreme Champion at the Northumberland County Show. Dam of multi Champion Fawn Male: Beck Brow Bees Knees. Beck Brow Posh Pants is Lady Gaga’s third daughter (all sired by Waradene St Patrick) and she is the image of her mother, the same lovely apricot shade and equally good natured. 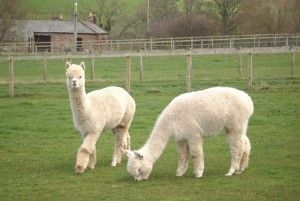 Lady Gaga (left) @ Beck Brow 2015 aged 7 years. 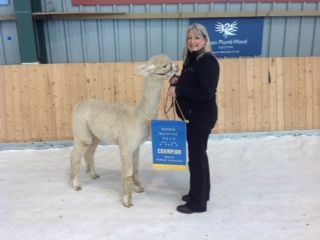 April 2016 – Ep Cambridge Lady Gaga takes the Supreme Championship at the NWAG Alpaca Championships eight years of age. 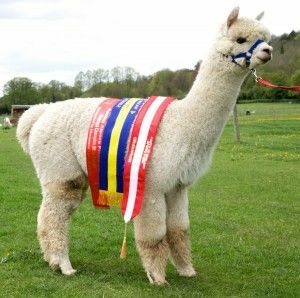 March 2017 – BAS National Champion Light Female – 9 years old. 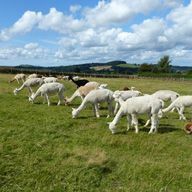 Without doubt our herd at Beck Brow would not be where it is today, if we had not had the good fortune to purchase Cambridge Camilla. 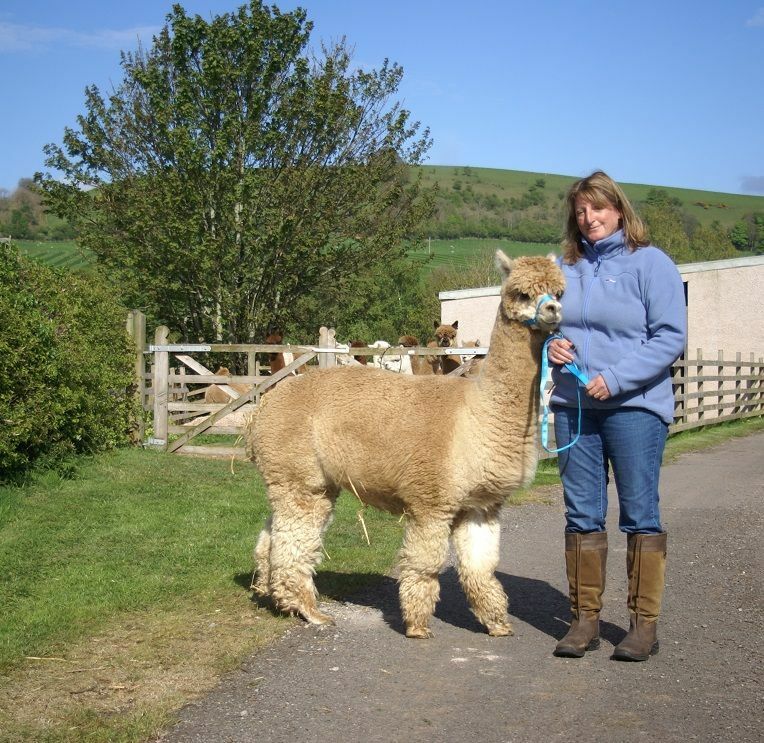 Camilla came to us in the summer of 2009, a daughter of the famous Accoyo Remarque and pregnant to the now legendary Ep Cambridge Navigator (sold for £75,000). 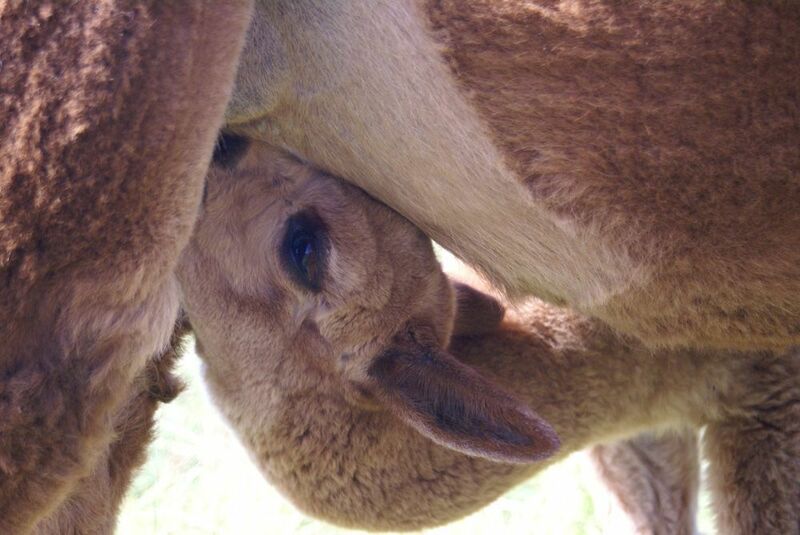 She kept us waiting, 385 days in total, but she didn’t disappoint when she delivered Beck Brow Explorer. He showed signs of the star he was destined to become, from the minute he was born. Himself a multi Supreme Champion, he has gone on to sire numerous Champions including three Supreme Champions by the age of 5 years. 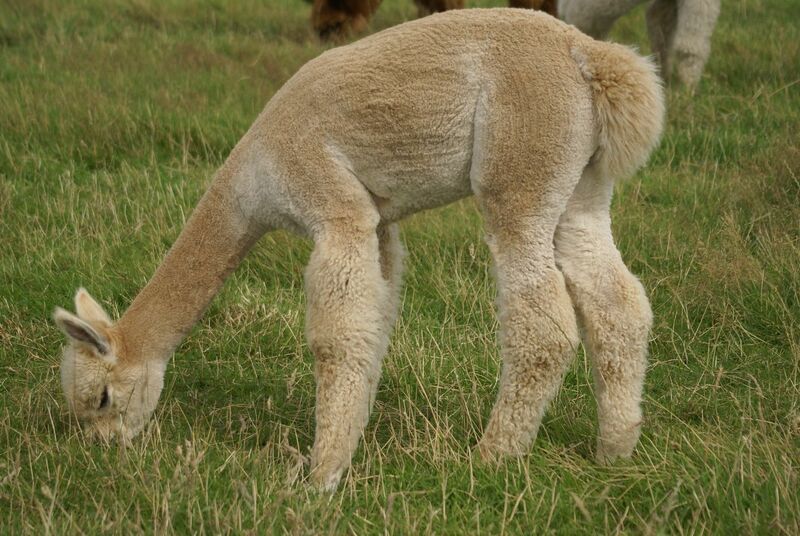 Cambridge Camilla dam of Beck Brow Explorer. 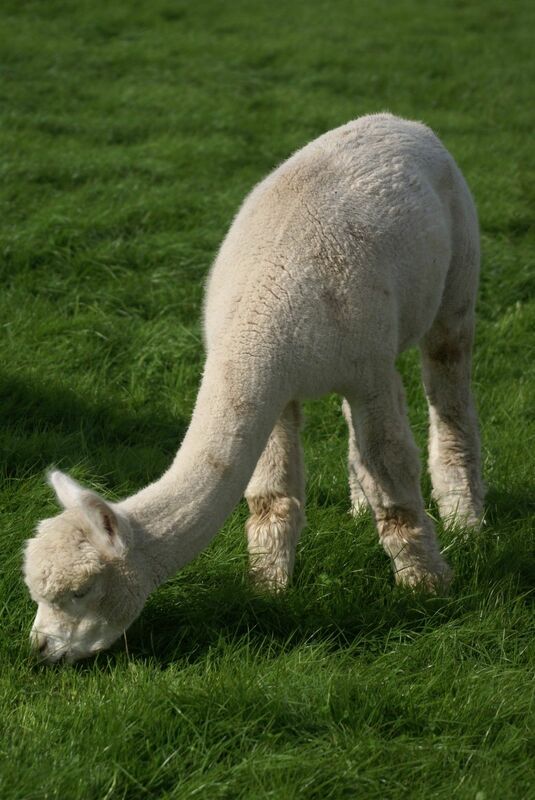 Explorer is the image of his dam and stamps his mark strongly on his progeny, thus we are fortunate to have the good looks of Camilla featured strongly in our paddocks. 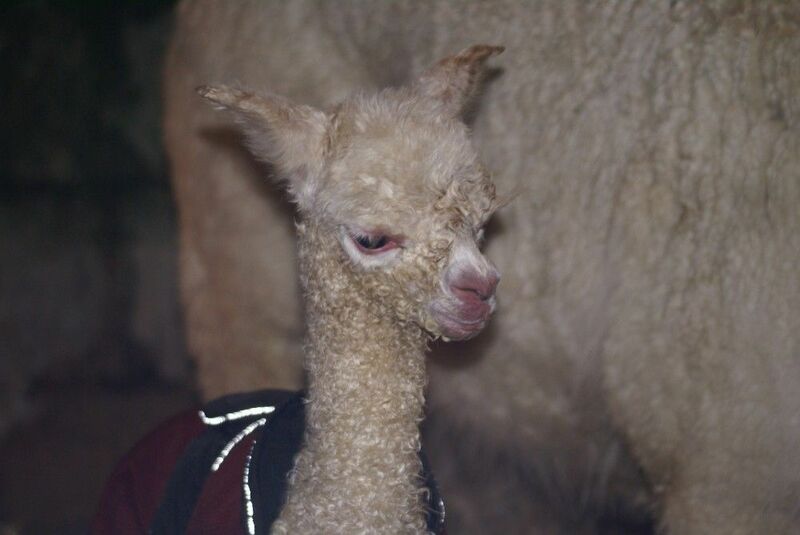 Beck Brow Explorer at 2 hours old. 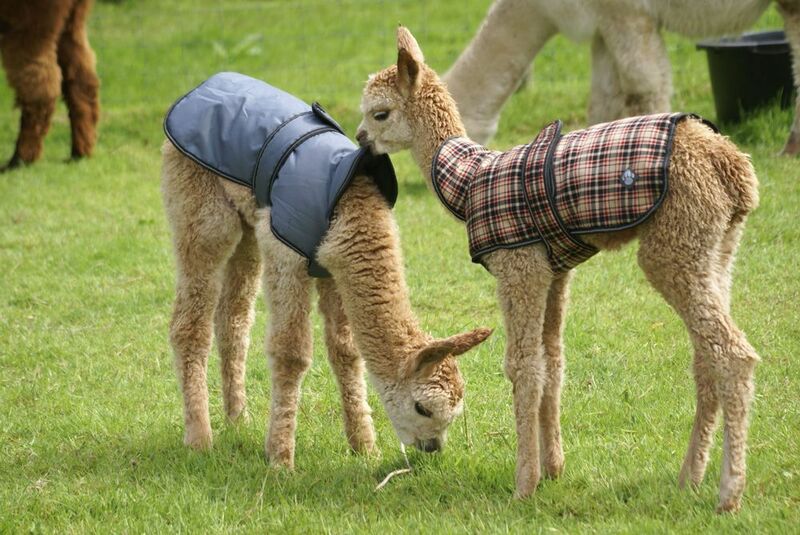 Already showing the fleece qualities that made him a champion. 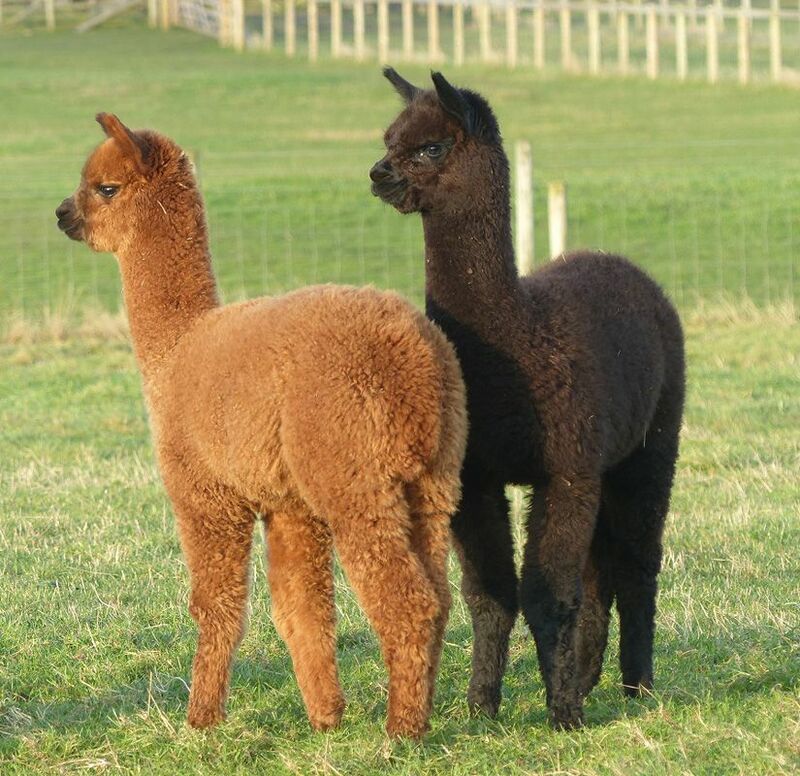 Camilla has gone on to produce two further sons both of stud quality (Advantage and High Five) and two daughters Beck Brow Rumour Has It and Beck Brow Sugar Babe, who have both secured a place in our core herd. 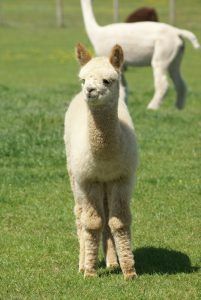 She is a confident but gentle female, who has developed a very strong bond with us, which resulted in her running into the barn for help when Sugar Babe decided to make an appearance with a leg in the wrong position. 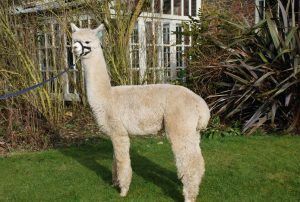 Galaxy was one of our first elite purchase (read as very expensive) and was selected from a group of females newly imported from New Zealand in early 2009. 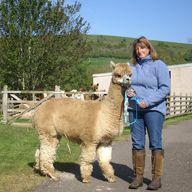 Galaxy really is very special, apart from retaining a beautifully fine fleece (19 microns at 8 years of age) she, and indeed all of her family, have the quirkiest personalities which make them adorable. 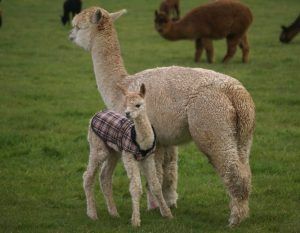 Galaxy came to us pregnant and presented us with Beck Brow Fine Romance (Roma) sired by Sanjo Shalimar. 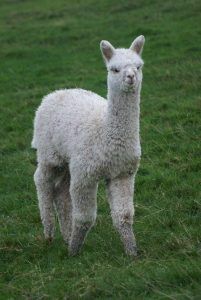 Silverstream Galaxy with Beck Brow Fine Romance. Galaxy adored Roma from the minute she was born and this didnt lessen post weaning, nor when Roma was pregnant herself. It has to be said that this did nothing for Roma’s maturity and when Roma had her first cria (the beautiful Foxy Sox) Roma took one look at her and went off with her mum. We never did get her to look after Sox, who was bottle fed and looked after by us. 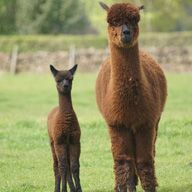 Luckily we were prepared when her second cria arrived, although she looked like abandoning Asterisk, keeping them confined together in a pen for a couple of days had them bond. 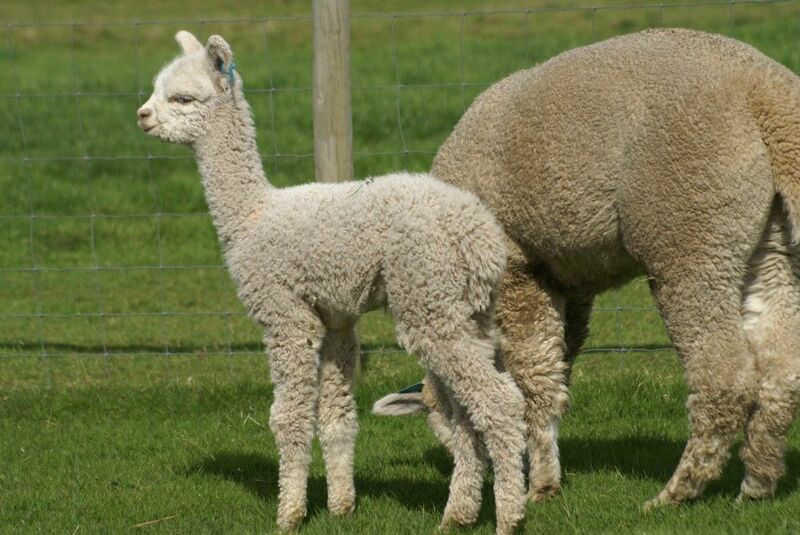 She subsequently turned into a fabulously attentive mother. 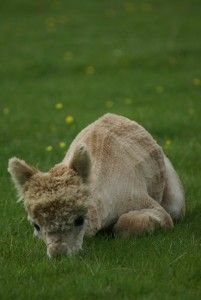 Her third pregnancy had us call out the vet as she went into labour and started throwing herself on the ground and screeching. 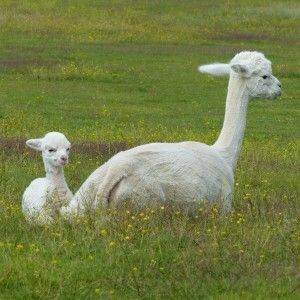 However this turned out just to be Roma in full drama queen mode and Chocks Away was delivered without any problems, and loved immediately. 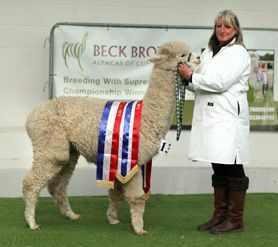 Galaxy is also the dam of the gorgeous Championship winning male Beck Brow Crafter. 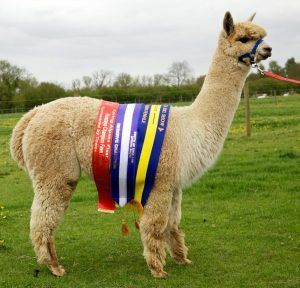 Celestrial is a stunning looking female who was purchased at the very first Alpaca Classic in 2012, and had already proven herself to be a Champion. 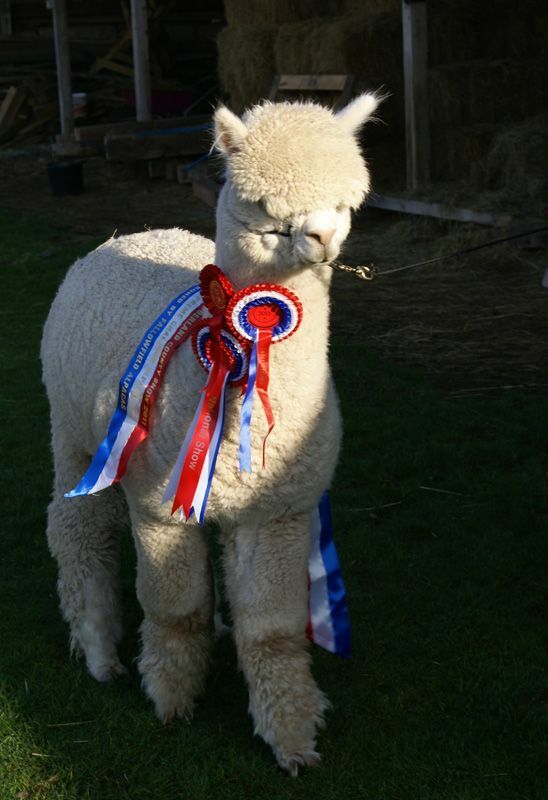 She came pregnant to Bozedown Patriot and produced for us Beck Brow Bespoke who was a member of our prize winning show team of 2014/15. However, Celestrial was chosen with Beck Brow Explorer in mind as her perfect mate, and she didnt disappoint. 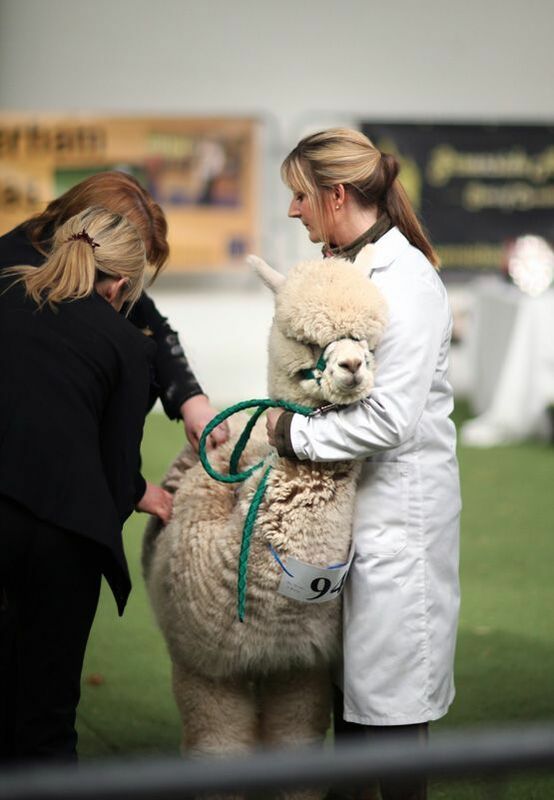 Beck Brow Trendsetter has had tremendous success in the show ring, winning a number of Championships culminating in the accolade of Best Female in Show at the 2015 Showtime. 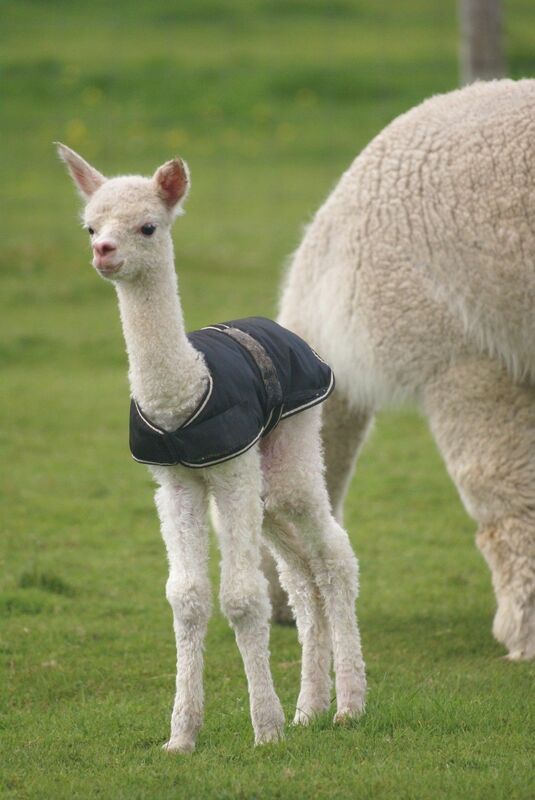 Celestrial has again produced a stunning Explorer daughter in 2015 with Beck Brow Fashionista. 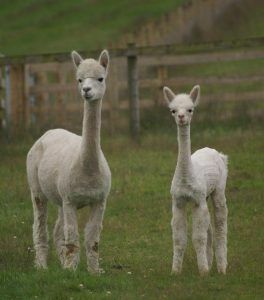 And as if producing fabulous cria wasn’t enough, two years in a row Celestrial has ‘topped up’ the milk supply for Lucie’s cria (she is a little short on milk). 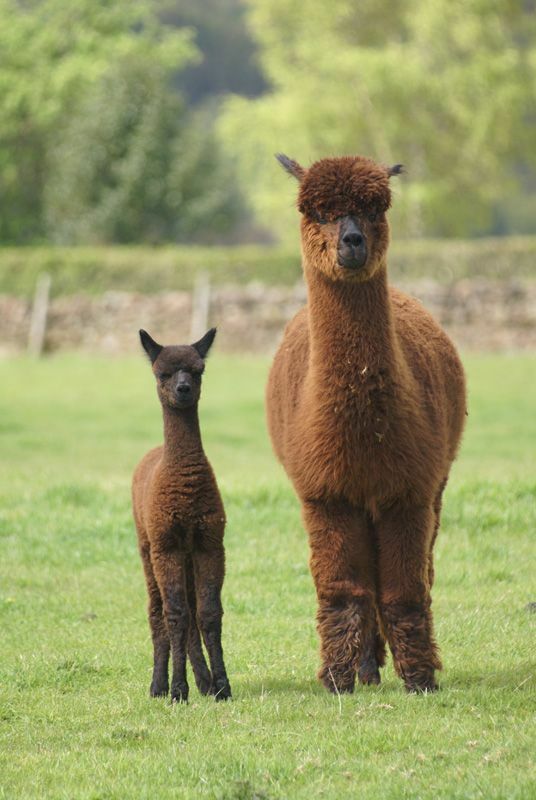 Such a lovely natured alpaca and a pleasure to have in our herd. 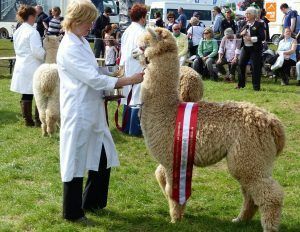 Beck Brow Fashionista – Supreme Champion Northumberland Show 2017. 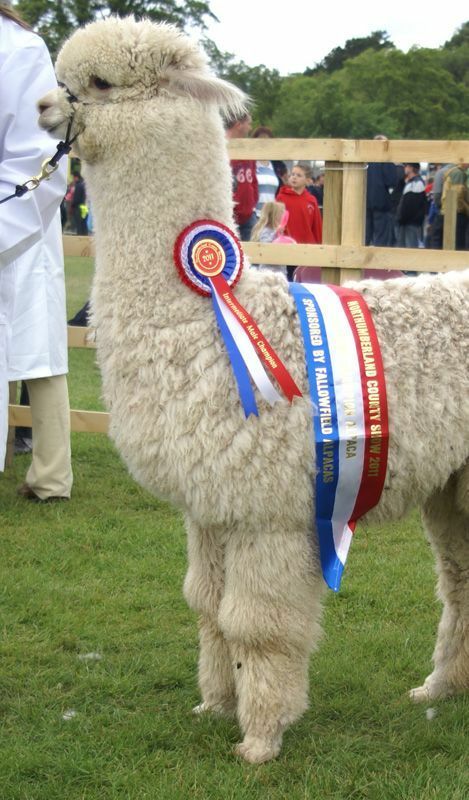 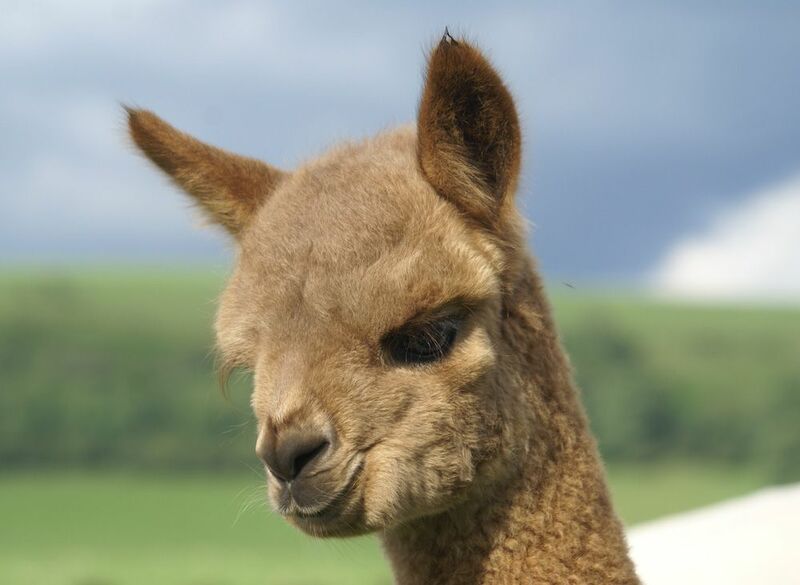 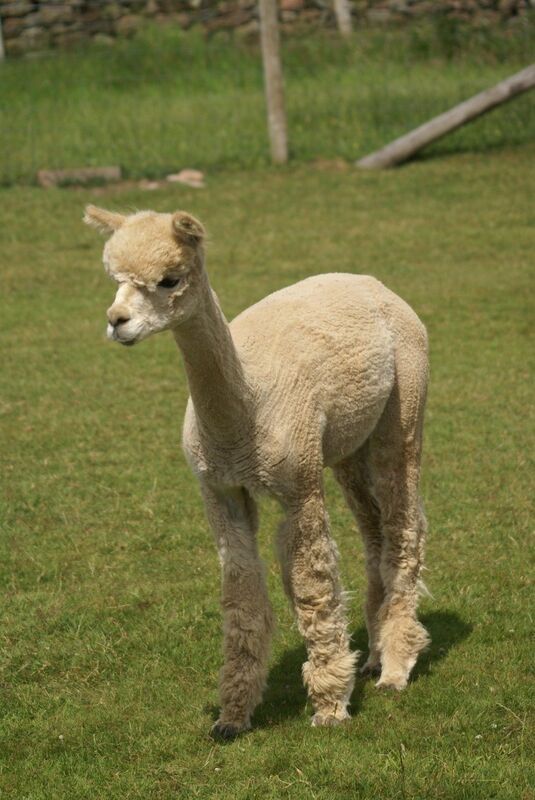 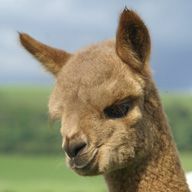 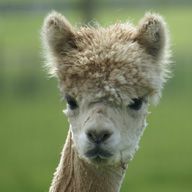 Honaria was purchased at the British Alpaca Futurity elite auction in 2009. A well conformed female with an ultra fine fleece, she has always been a quiet member of the herd and thus has always kept herself rather in the background. 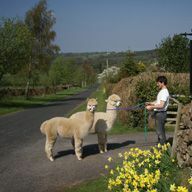 That was until she was paired with our Beck Brow Explorer in 2012. 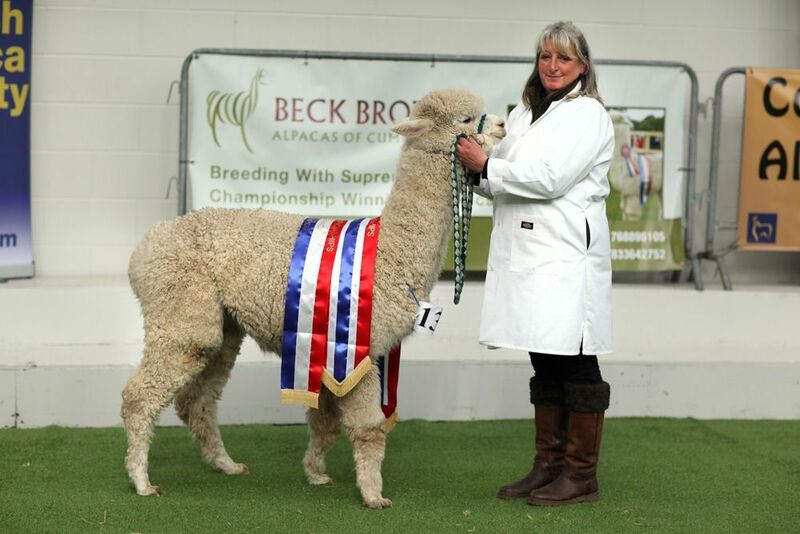 The resulting progeny Beck Brow First Edition has gone on to be a star on the show circuit, taking numerous Championships and two Supreme Champions to date. 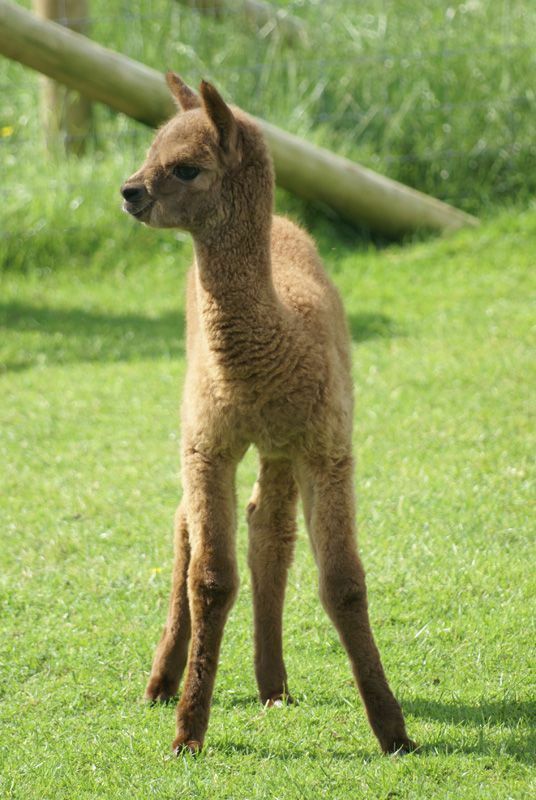 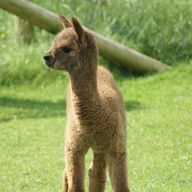 Beck Brow First edition (sire; Beck Brow Explorer) as a cria. 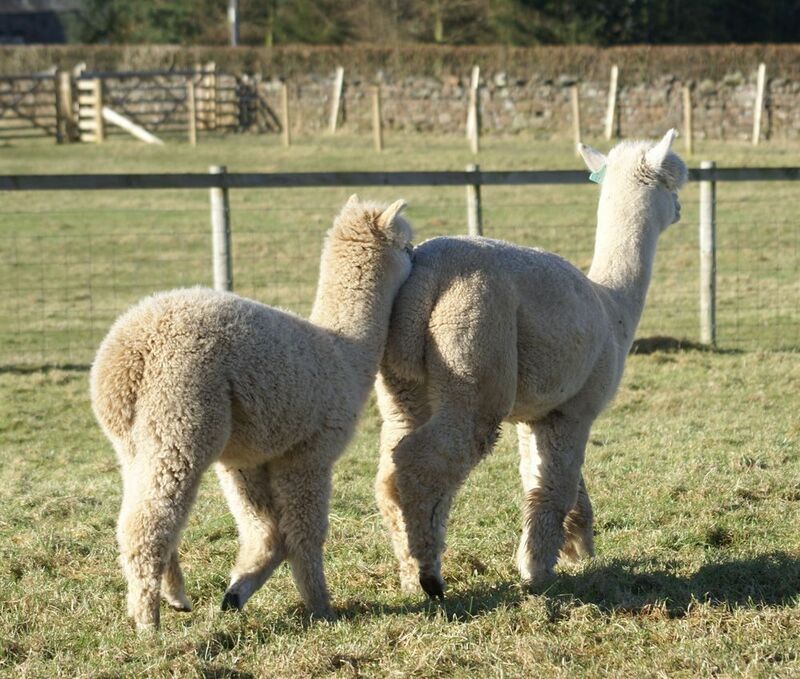 This pairing was repeated resulting in the rather unexpected presentation of her next cria. 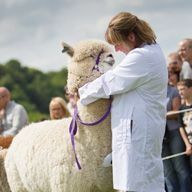 After a breach birth, Beck Brow Bottom’s Up went on to also be a star, her greatest achievement to date being Supreme Champion at Westmorland Show 2015. 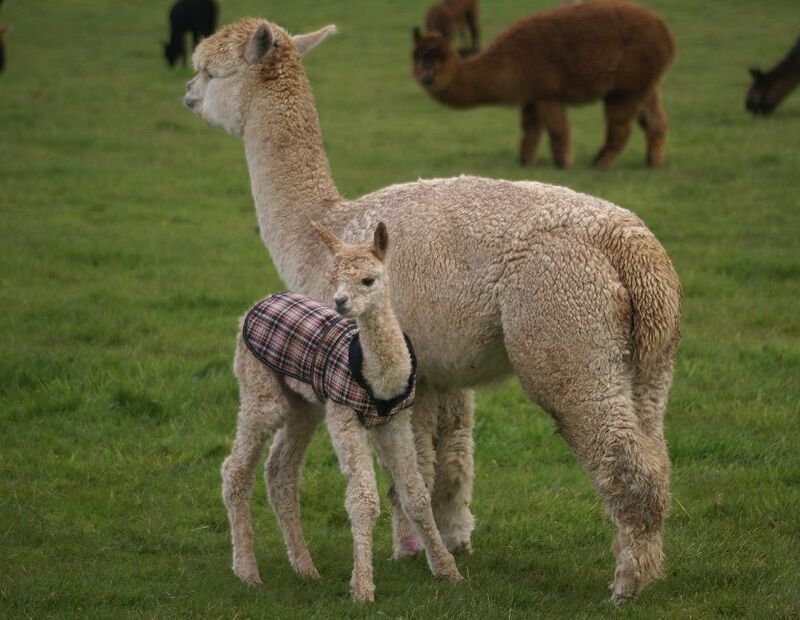 Unable to resist repeating a winning formula Honaria again produced a stunning Explorer daughter 2015. 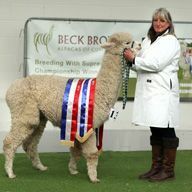 Beck Brow Bedazzle, another one for the show team. Stargazer was purchased at an elite auction in Australia in 2012. We didn’t make the trip over but instead set the alarm for 2 am in order to make our bid. 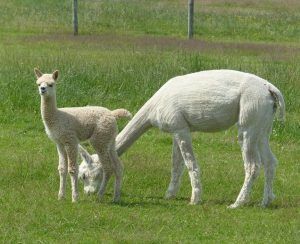 Stargazer has generation after generation of the very best Australian genetics on both sides of her pedigree and is sired by the famous Windsong Valley Firedragon. 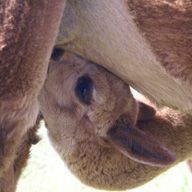 Although Stargazer was chosen with Explorer in mind, we decided to have her mated in Australia in order to bring in some otherwise unaccessible genetics. 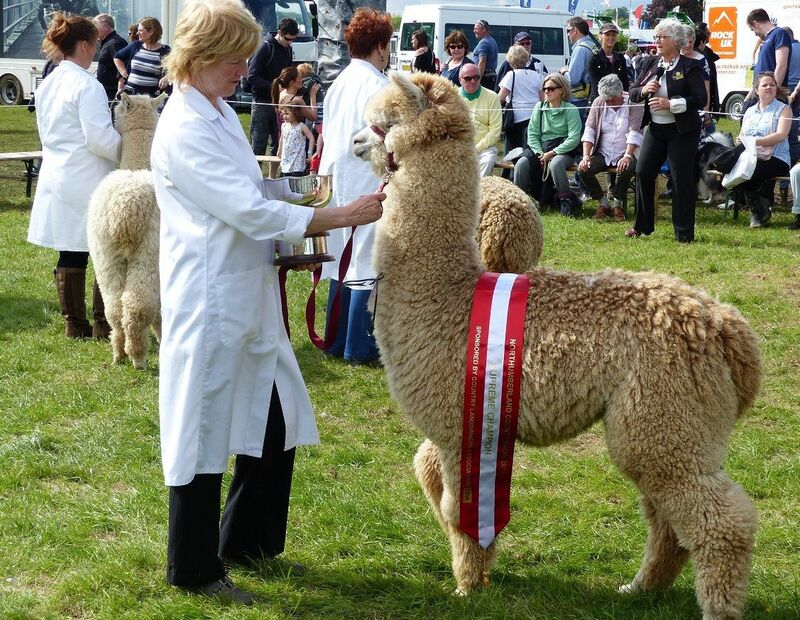 And so it was she had a date with Ep Cambridge Peruvian Spartacus. The plan had been that she should birth in the UK but Stargazer had other ideas and produced a daughter for us in New Zealand, premature and part way through her journey. However all was well and she had a lovely daughter, whom we called Stardust. 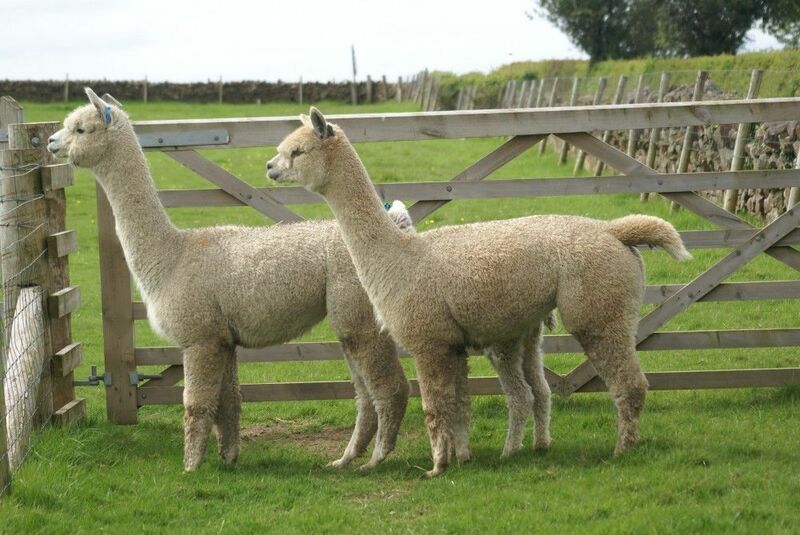 Stargazer had her date with Explorer in 2014 and produced a stunning male. 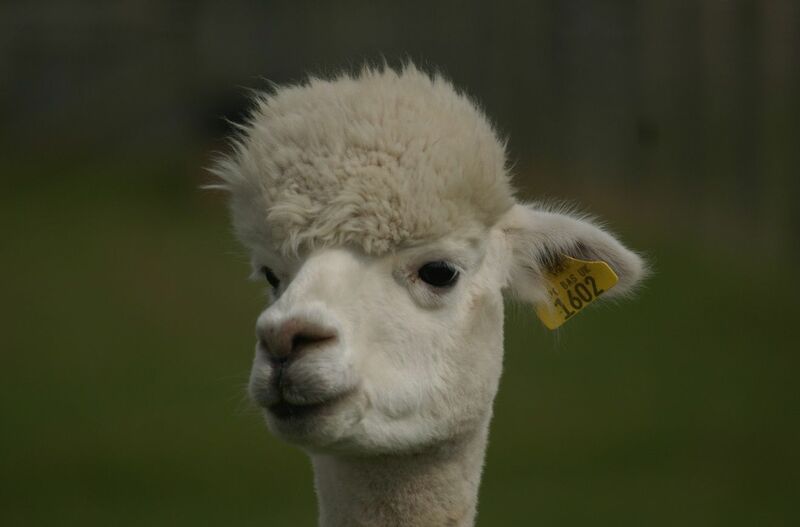 As he had been so many years in the planning (2012 to 2015) we named him The Strategist. 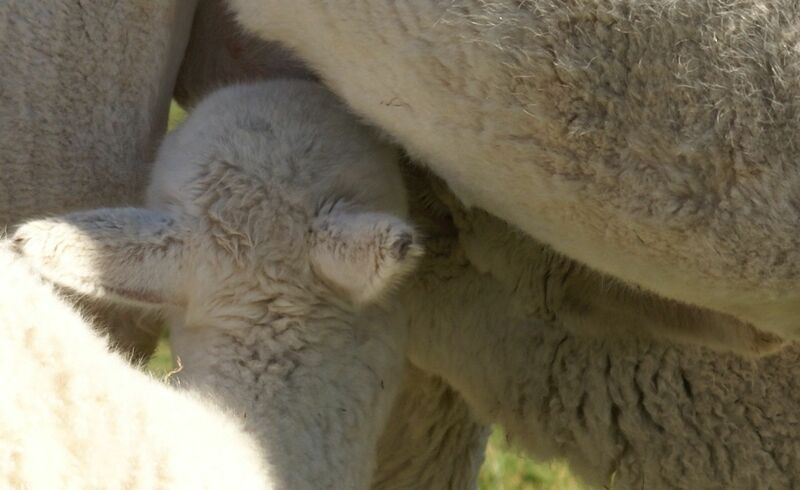 Stargazer is quietly confident, as are her progeny. 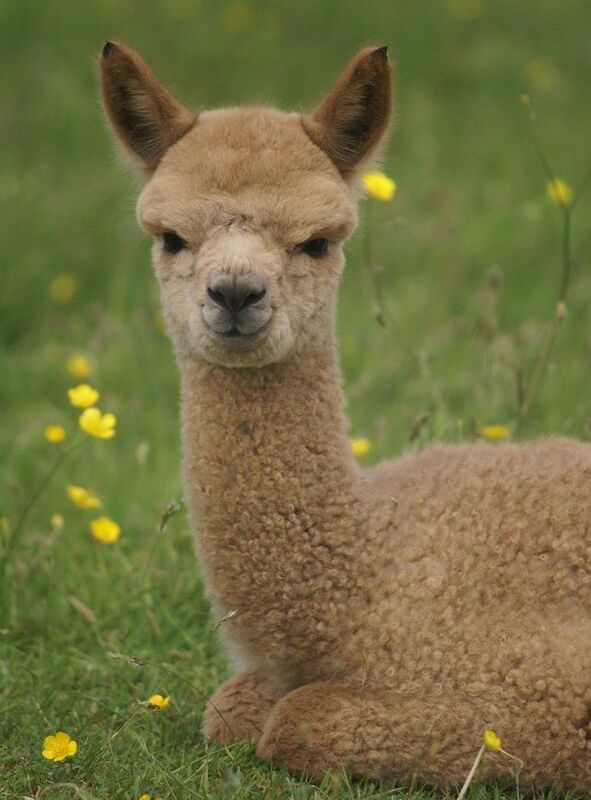 She always stays behind each morning to see if she can charm a little extra food from me. If you try to ignore her she walks up and looks you straight in the eye, of course it works every time! After the excitement of our successful bidding for Stargazer we decided to purchase a travelling companion for her (any excuse) and thus Cambridge Summer Solstice, another Windsong Valley Firedragon daughter arrived on farm, with Stargazer and Stardust, in May 2014. Solstice is very quiet and keeps herself in the background. 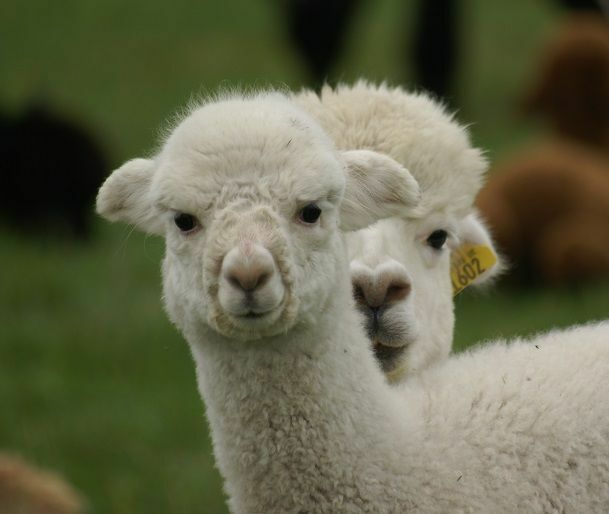 The same cannot be said of Game On who is always at the forefront of all mischief, we will have to blame St Patrick for that. Magic Charm was purchased at the Alpaca Classic along with Celestrial in 2012, another prize winning female, who was pregnant to Bozedown Omen. 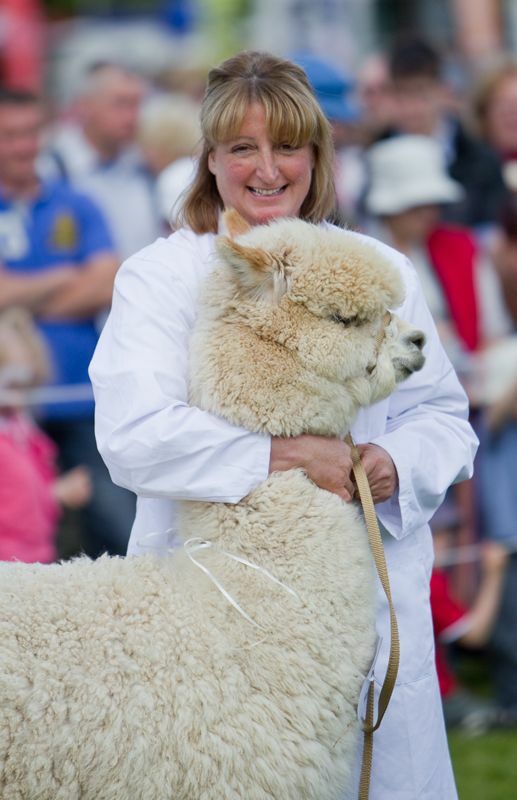 She produced for us Beck Brow Boxster who was also a member of our 2014/15 show team.